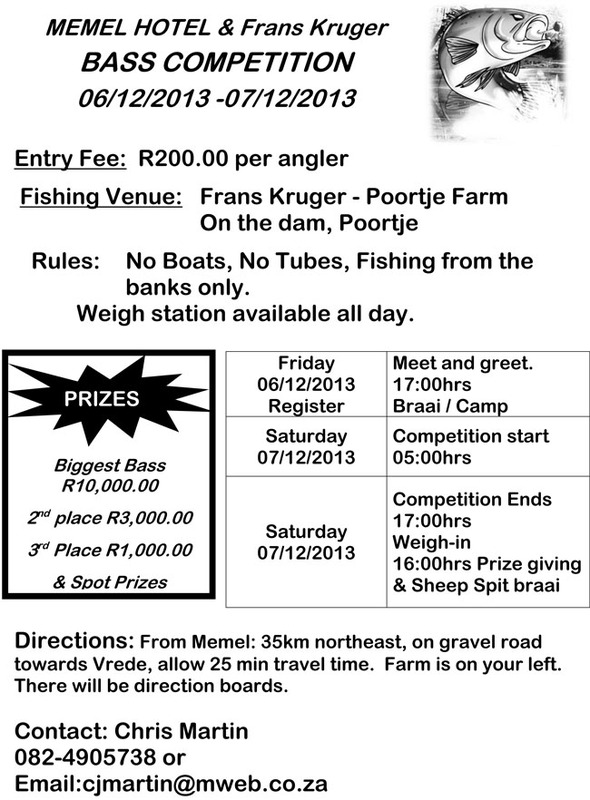 The 2013 Memel Hotel & Fraans Kruger Bass Competition will be held on the 7th of December 2013. 06/12/2013 – Competition Ends at 17H00. Fish wherever you think there are fish! Fish must be alive at the weigh-in. Best 3 fish to be weighed alive. From Memel: 35km northeast, on gravel road towards Vrede, allow 25 min travel time. Farm is on your left. There will be direction boards.